"Blind for love" engraved script with assorted symbols. 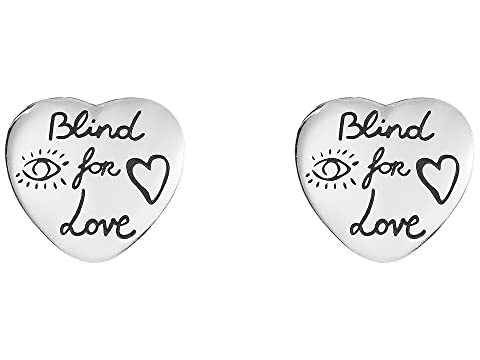 We can't currently find any similar items for the Blind for Love Stud Heart Earrings by Gucci. Sorry!